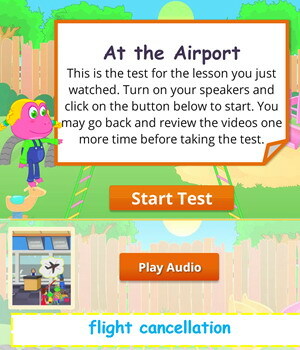 This English lesson teaches students words and expressions related to travel and going through the airport. 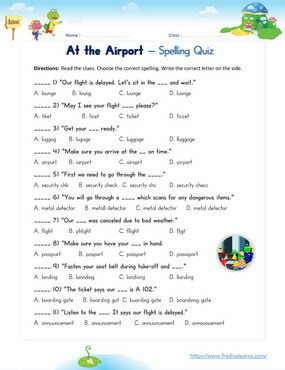 The lesson also teaches English learners different collocations relating to airports and flights. Students also learn how to give important advice using the expression ‘make sure’. This expression is used to show that unpleasant consequences may arise if advice is not heeded. The worksheets below are useful for offline and classroom activities. 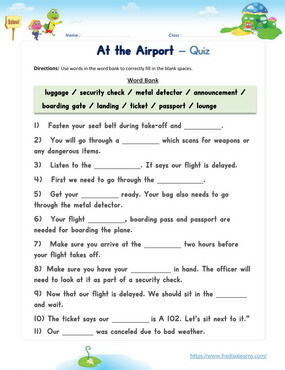 These printable exercises directly correlate with the above lesson 'At the Airport'. Every worksheet comes with an answer sheet on the second page for educators. Freddie, Lisa and their parents have arrived at the airport to catch a flight to New Zealand. They are going through security checks. 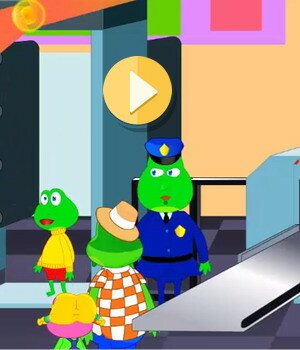 Freddie is alarmed by the metal detector’s beeping when he attempts to go through. The security officer does a pat down just to make sure he is not carrying anything dangerous. It turns out it was the metal on Freddie’s belt that caused the alarm to go off. Make sure you have your ticket ready. 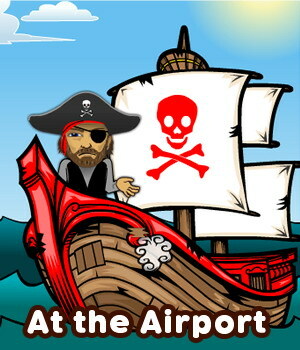 Make sure you arrive at the airport on time. Make sure you have your luggage. Make sure you listen to flight announcements.